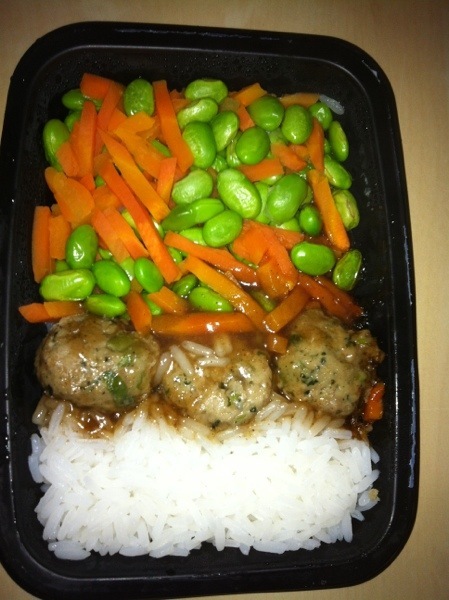 Lunch – Asian Meatballs with Rice. This was very flavourful. Wish there had been a little more sauce for the meatballs. I’m not sure if these were broad beans or some other kind of bean. 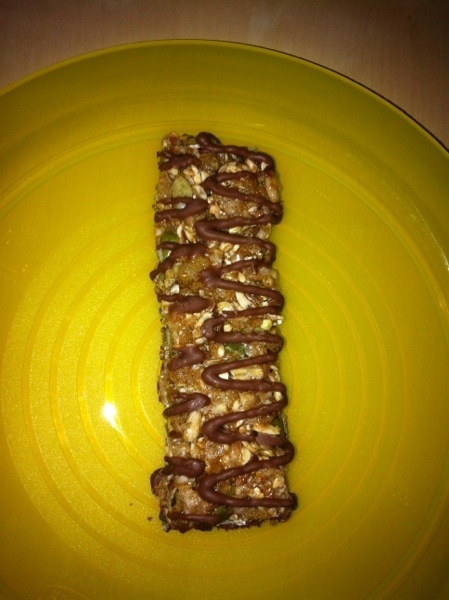 4 minutes in the microwave. 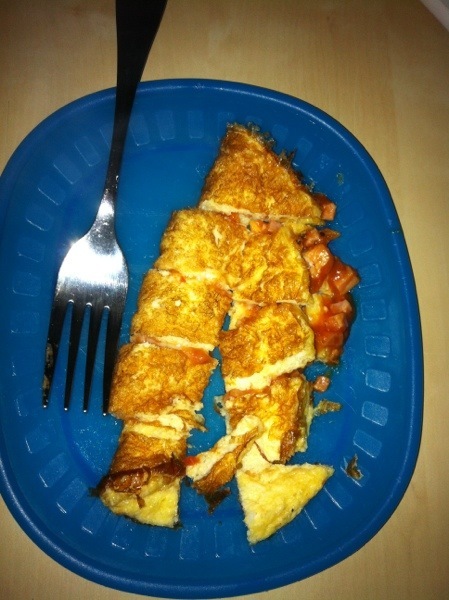 This is one of my must orders – 2min30 in the microwave and it is like you just flipped it out of the frypan. But it has awesome stuff in the middle – ham, and like a tomato salsa. I feel like I’ve had a bit too much citrus type jams just lately what with all the marmalade, etc. 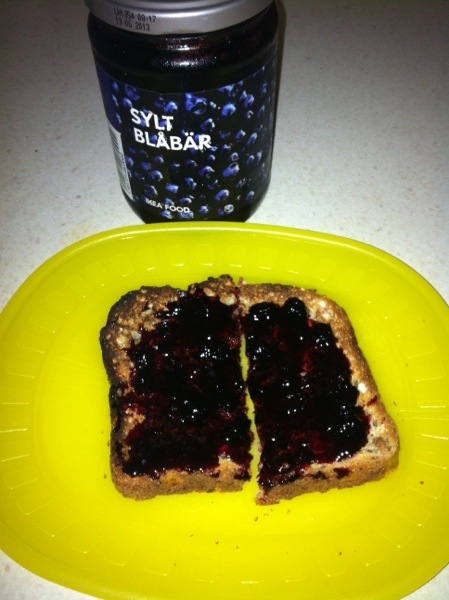 So I treated myself to some Sylt Blabar :) Blueberry jam and hello it has real full size blueberries in there. This was awesome though a little fall apart like. They must make these themselves I think. 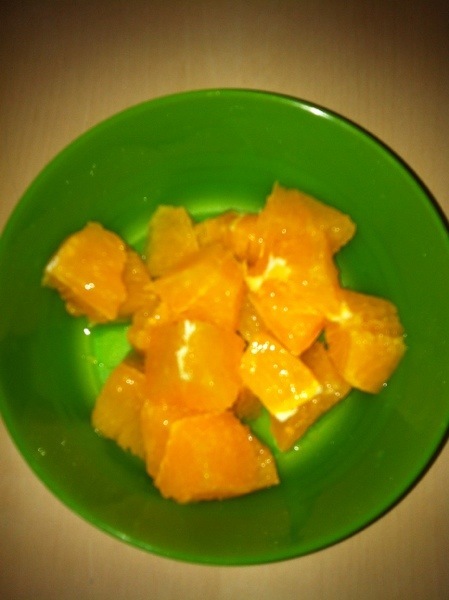 Swapped the mandarin for an orange which I put in my soda water. Thanks for these posts – they’re very informative. Nothing like seeing what you actually end up with when on one of these plans. 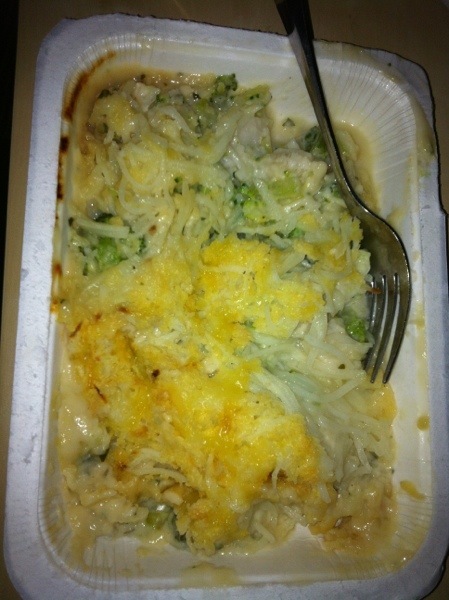 Also those green beans look like soy beans to me, they sorta taste like nice mashed potato.